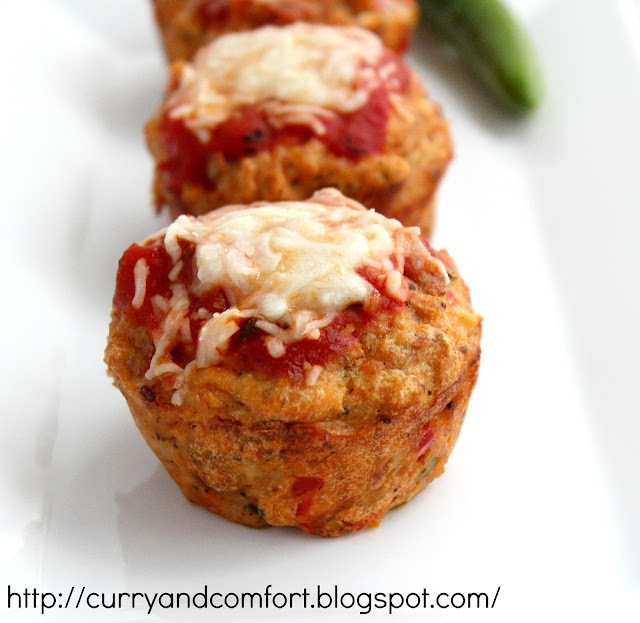 Pizza, Meatloaf... why choose between them... just make Pizza Meatloaf Muffins. I made these as a fun dinner with mash potatoes and broccoli and it was a hit with the hubby and kids. 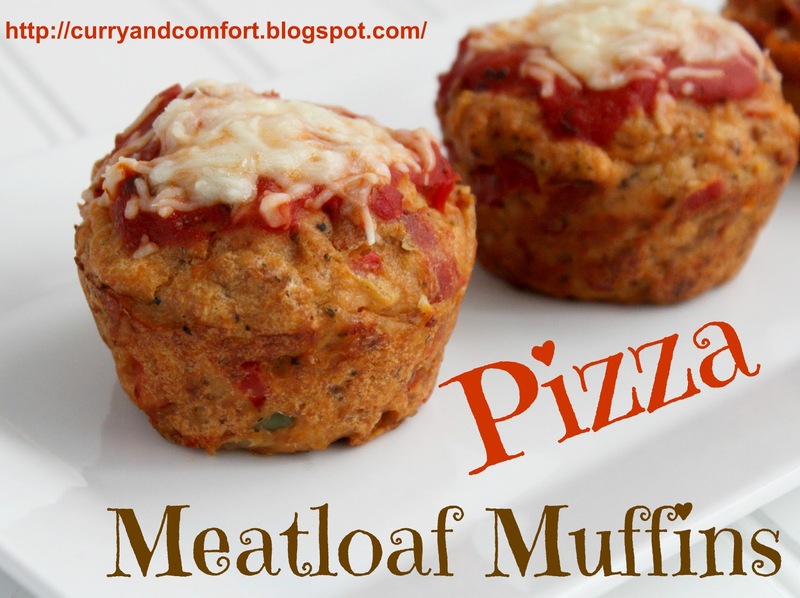 My kids were a bit confused when I said I was making pizza meatloaf muffins. They eat mostly sweet muffins... so a muffin with meat in it was a little weird to them. But after eating a couple of muffins... they totally understood that it's just a little mini meatloaf. 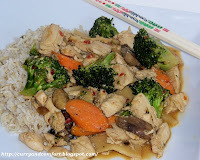 I love the individual servings because it was easy to portion. 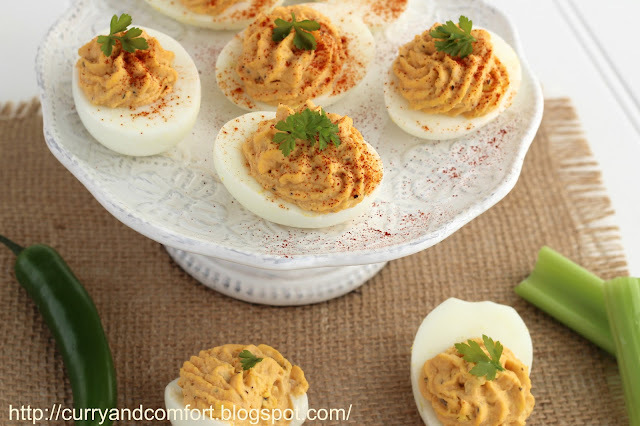 These little cuties are also fun for the Super bowl. I may have to make more muffins for Sunday. 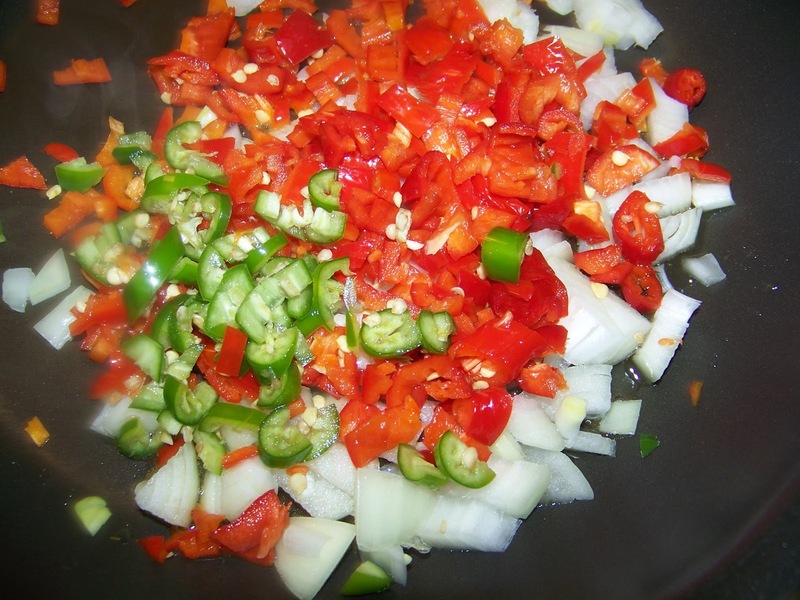 In a skillet, heat 1-2tsp of canola oil and saute onion, bell pepper and chilies. 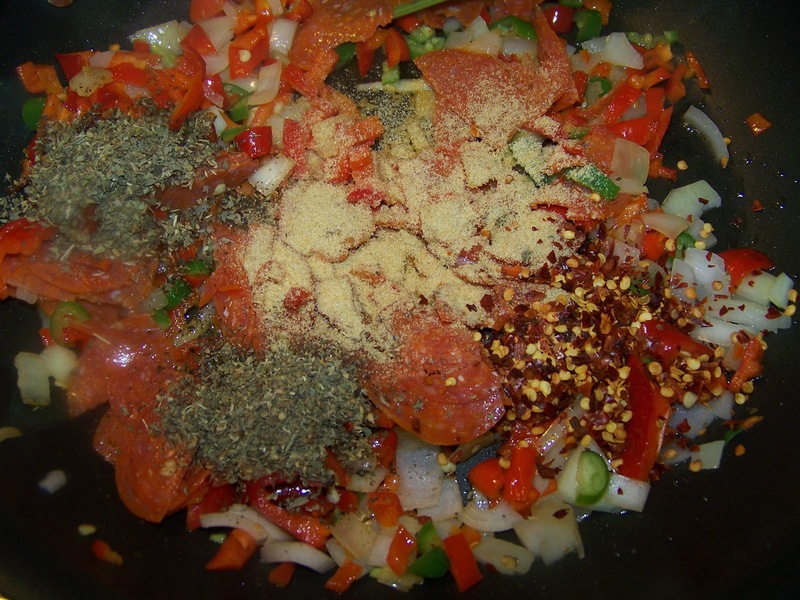 Then add pepperoni, granulated garlic, oregano, basil and red chili flakes. Salt to taste. Allow mixture to cool down before proceeding. 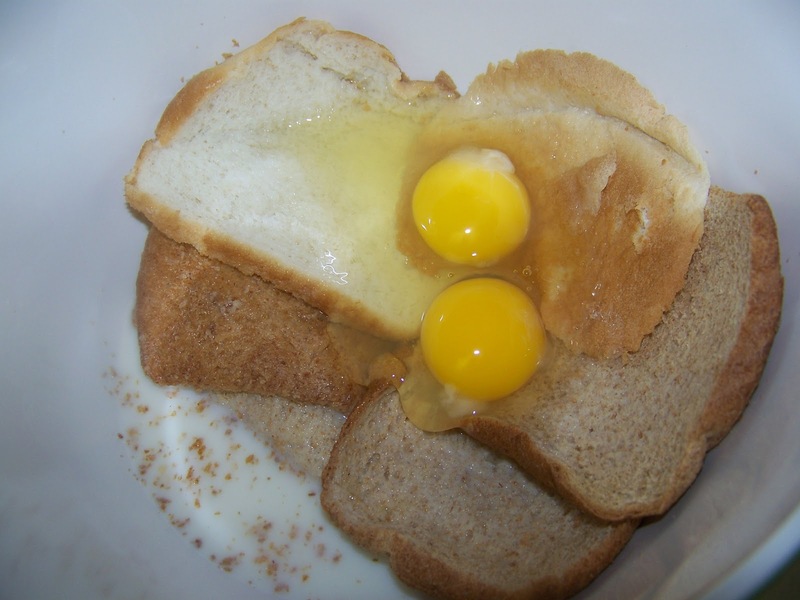 Pour milk over bread slices and eggs. Mix and crumble bread until "mushy". 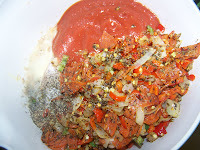 Then add the 2 pounds of ground meat, pasta sauce, Parmesan cheese, sauteed onion/pepper mixture, black pepper and salt. Mix all ingredients well. 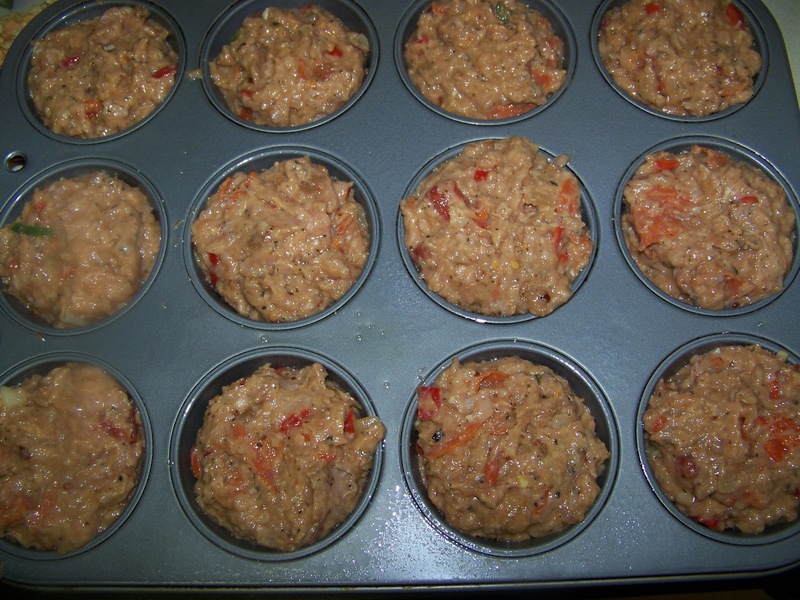 Spray muffins pan with non-stick cooking spray and fill muffins to the top of muffin pan edge. Bake in a 375 degree oven for 20 minutes. Then take out of oven and top with a tsp of pasta sauce and some shredded mozzarella cheese. 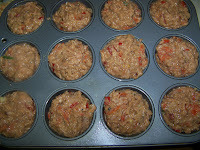 Place muffins back in oven and cook for another 5 minutes. Serve hot. 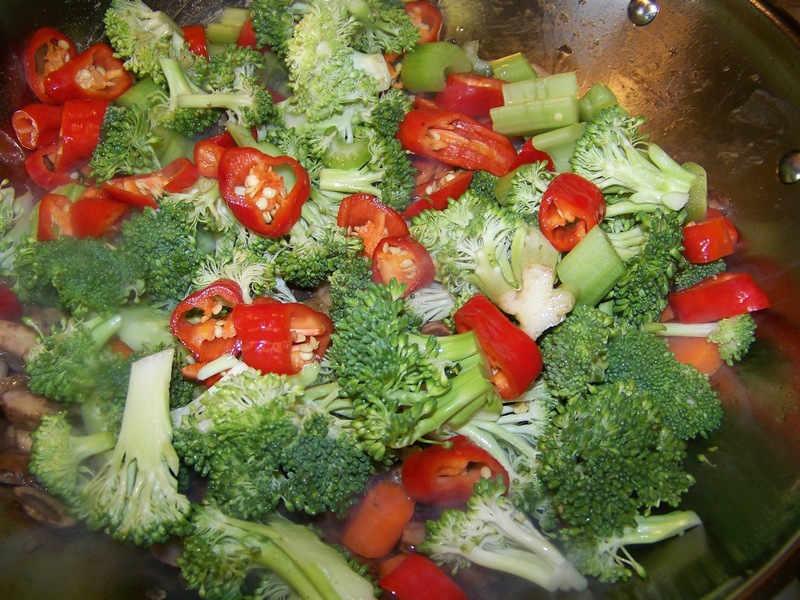 Sides dish suggestions are mash potatoes, sauteed vegetables like broccoli or green beans. 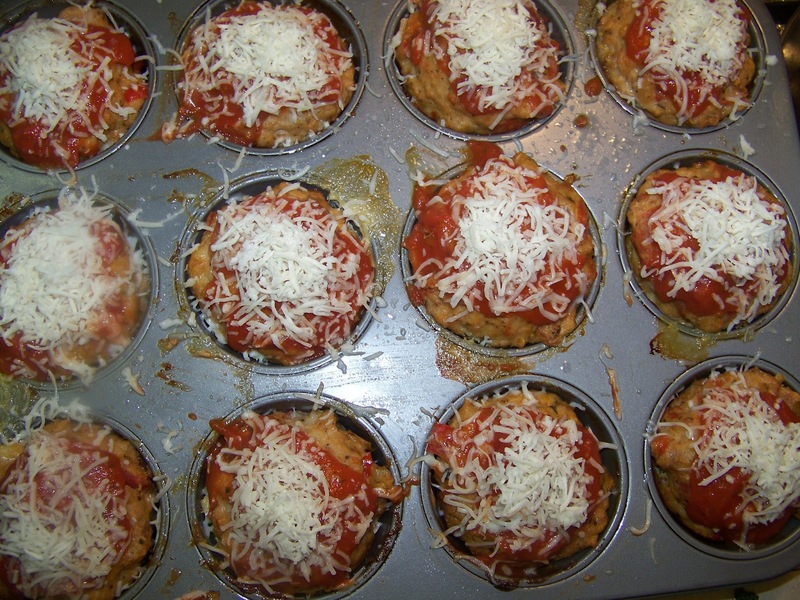 You can also opt to serves with spaghetti with tomato or marinara sauce or mac and cheese. Enjoy. 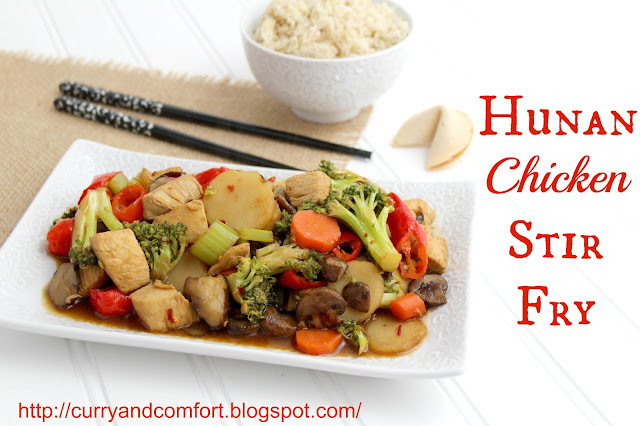 Step 1: Prepare Hunan Sauce and set aside until later. 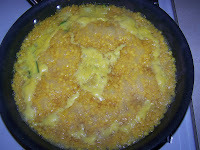 Step 2: Heat 1 Tbs canola oil in a large wok style pan. 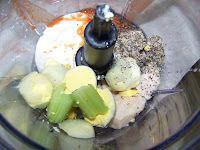 Add chicken that has been seasoned with some salt and pepper. Fry until 3/4 cooked through. Transfer out of wok into dish until later. 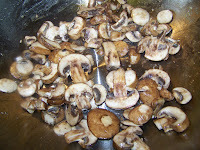 Next add little more oil if needed and stir fry sliced mushrooms until browned. If needed add a little more oil to pan and stir fry carrots, broccoli, celery, peppers in wok. Finally add the cooked chicken, water chestnuts and Hunan Sauce that was prepared earlier to wok and stir fry for several minutes. 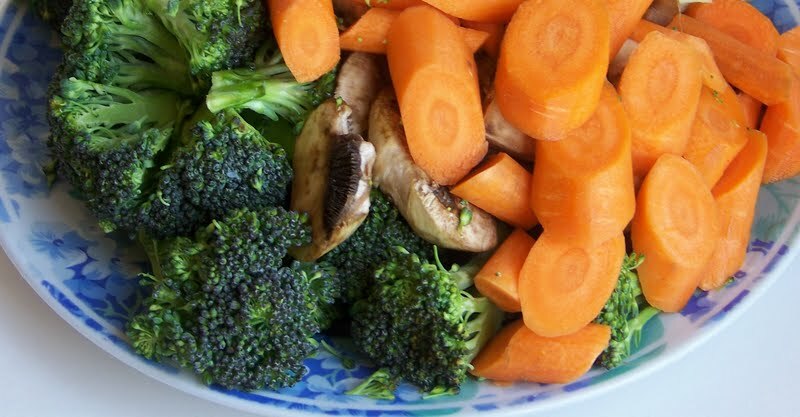 When the vegetables reach your desired texture turn off stove and taste for seasoning. Taste for salt and seasoning. Serve hot with rice or noodles. Enjoy. For those of you that are curious about my old photo.... I hope the new pictures out do it. Who couldn't use more quick and easy recipe ideas? 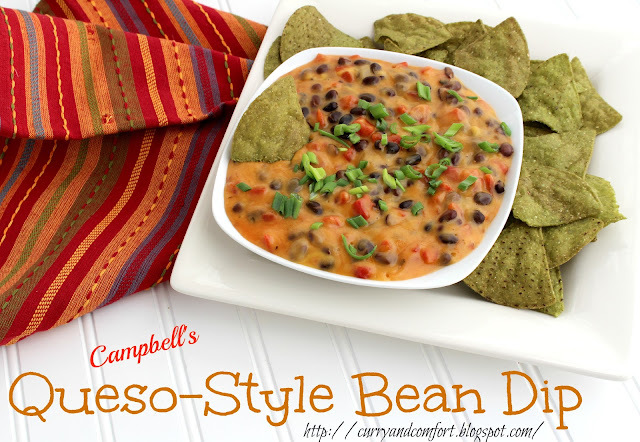 I know with two small kids and a hungry husband, I always need ideas that will please the crowd. 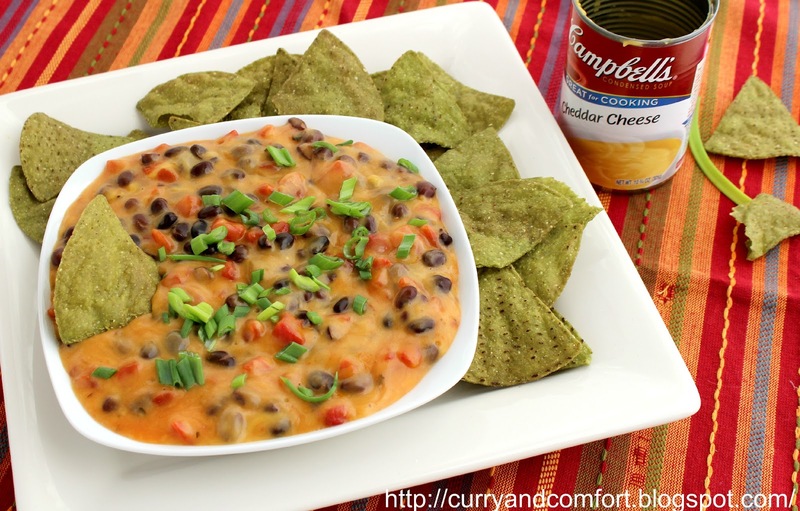 As part of the DailyBuzz Food Tastemaker Program I was given the opportunity to make and showcase a recipe from Campbell's Kitchen. It was so hard to pick just one from so many fun and easy recipes, but I had to decided on this Queso-Style Bean Dip since we are so close to the Super Bowl. I knew this bean dip would feed a crowd and please everyone. It only took a few minutes to prepare and then bake in the oven. I say it was an official touchdown for my family. 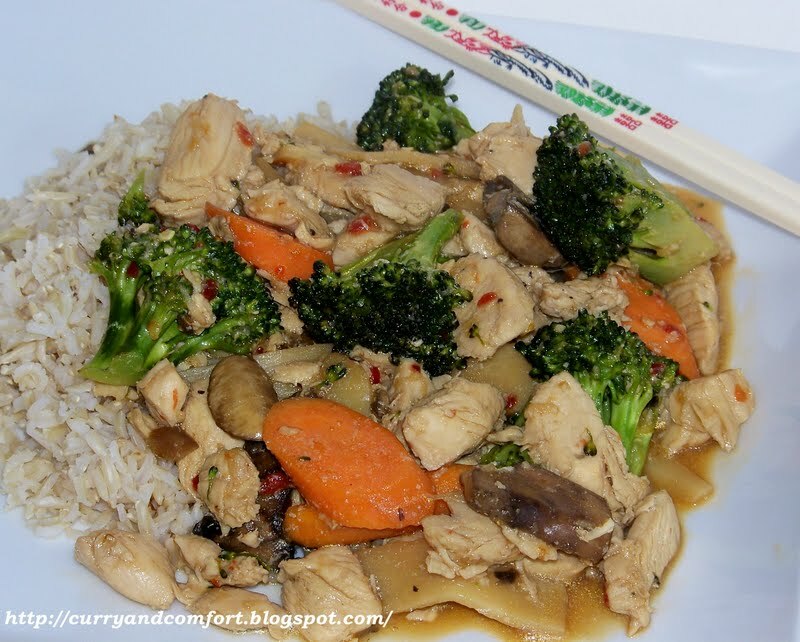 I can't wait to try some of the other stir fry, pasta and even curry recipes. 1 Stir the soup, picante sauce, cilantro, green onions and beans in a 1 1/2-quart casserole. Bake at 350°F. for 20 minutes or until the mixture is hot and bubbling. 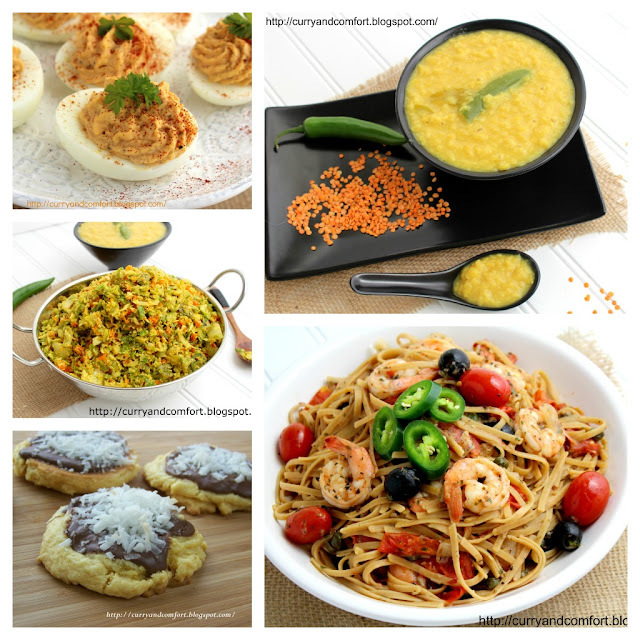 Campbell’s Kitchen offers more than 3000 recipes to satisfy every taste, budget and busy schedule. From seasonal favorites to quick & easy classics, you’re sure to find recipes that can be made in minutes with ingredients you have on hand. And because they’re from Campbell’s, you know they’re timeless and guaranteed to please even the pickiest eaters. 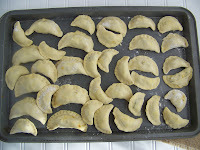 This month the World on a Plate group decided to feature dumplings. 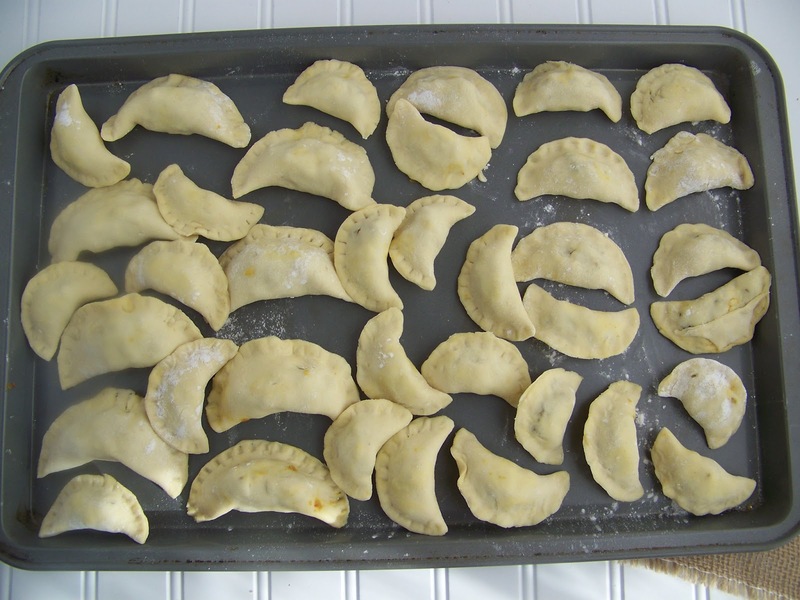 I think almost every culture has some form of a dumpling. 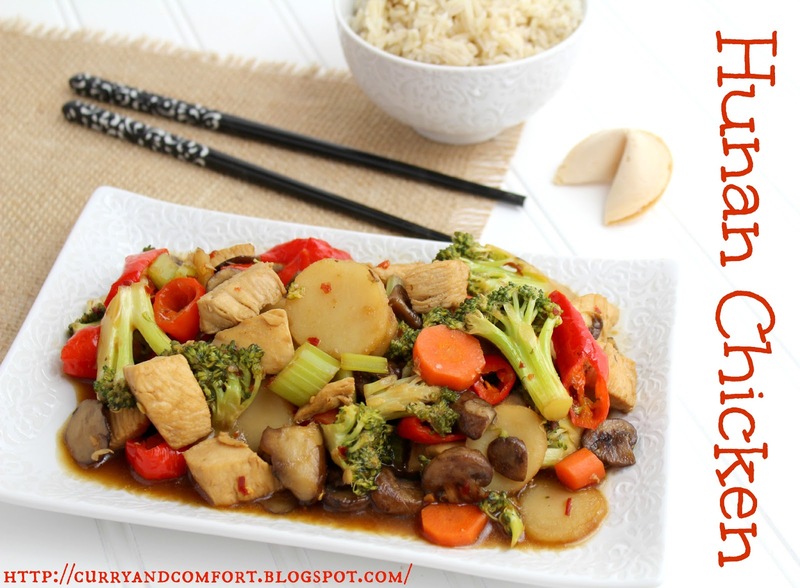 A dumpling is defined as a savory or sweet filling in dough that may be boiled, fried, or baked. 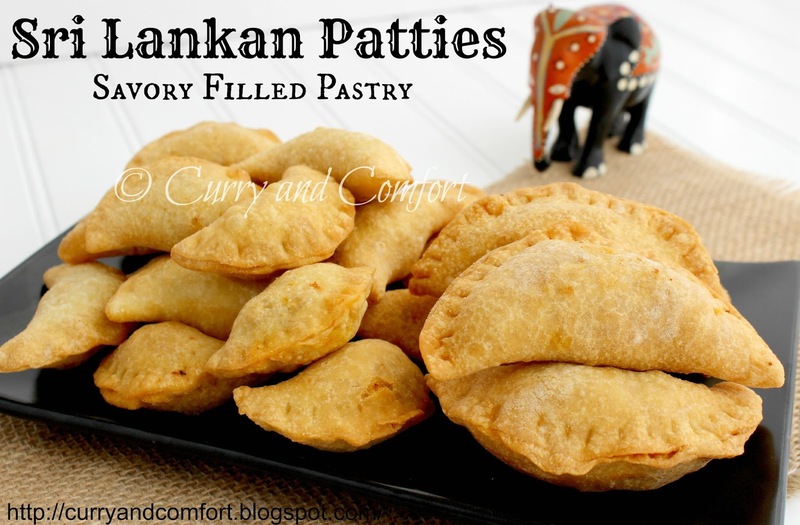 In Sri Lanka we have these beautiful savory fried Patties. 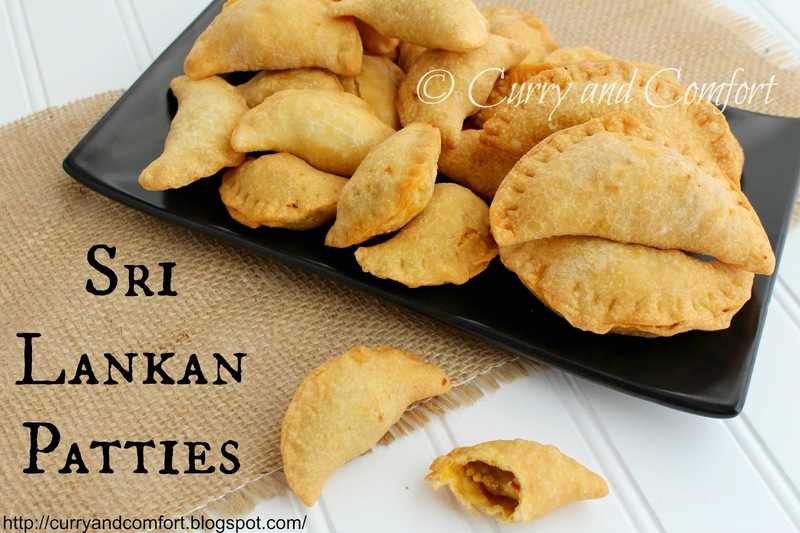 My mother and I had a cooking day a few weeks back and I asked her to make these for me so I could document this favorite Sri Lankan party food. The filling can be made out of several savory options from ground beef, chicken, lamb, turkey, pork or fish. You can also make them completely vegetarian. I made the filling with ground chicken this time. Of course for the health conscience you can bake these little beauties, but for the best results my mother suggest deep frying. After all it is a party food so it okay to indulge a little. Note: you can use the same flavorings for any ground meat (beef, pork, lamb, sausage). If you decide to make vegetarian rolls, add more potato and carrots. You can also use peas, cauliflower etc... 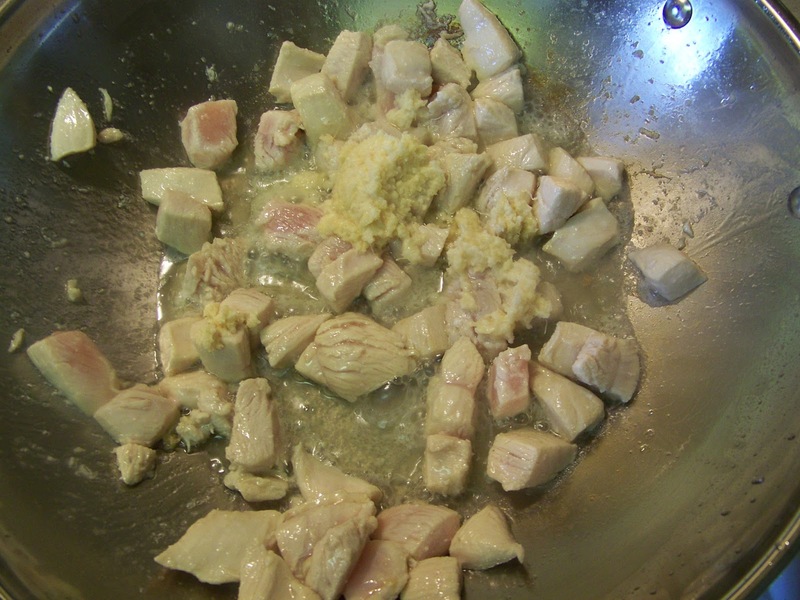 If you want to use canned tuna/mackerel check out my post for Cutlet filling. 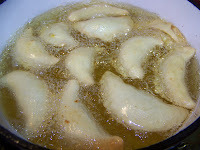 Prior to making your filling boil your potatoes and coarsely mash them. 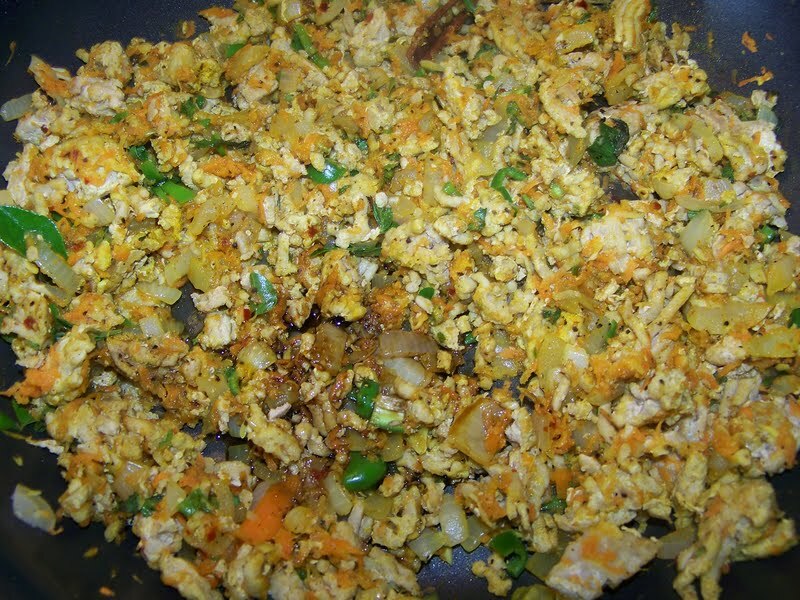 Then saute your ground meat with the garlic, ginger curry leaves, cinnamon stick and carrots. 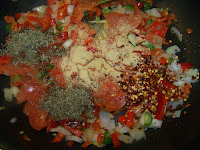 Once the meat is cooked, add powdered spices and saute for another minute. 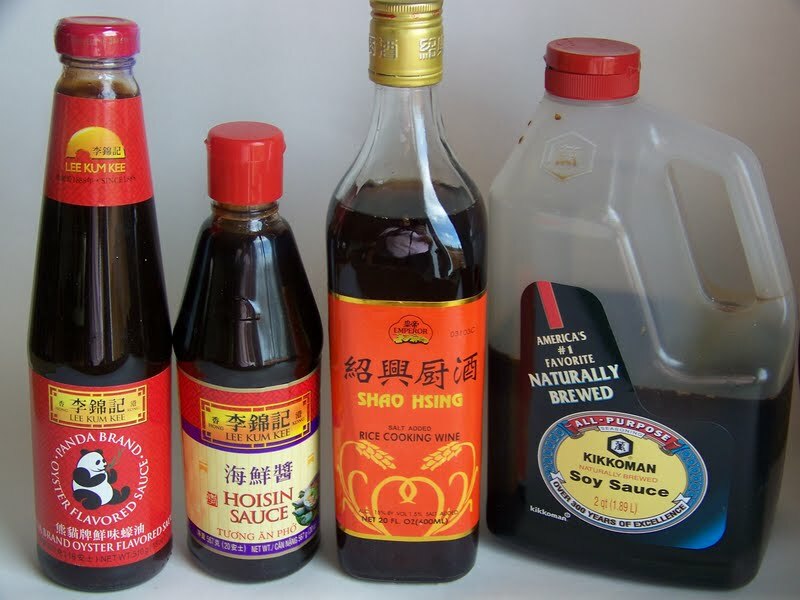 Then add your soy sauce, vinegar, mint leaves and salt and pepper to taste. 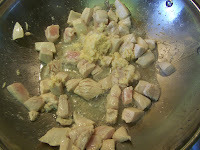 Add the lime juice as the final step and make sure you taste you mixture for seasoning. 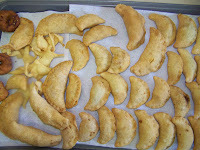 Make sure the filling is well smashed (avoid large pieces) and combined so it will be easy to fill the pastries. Allow the filling to cool down before proceeding. 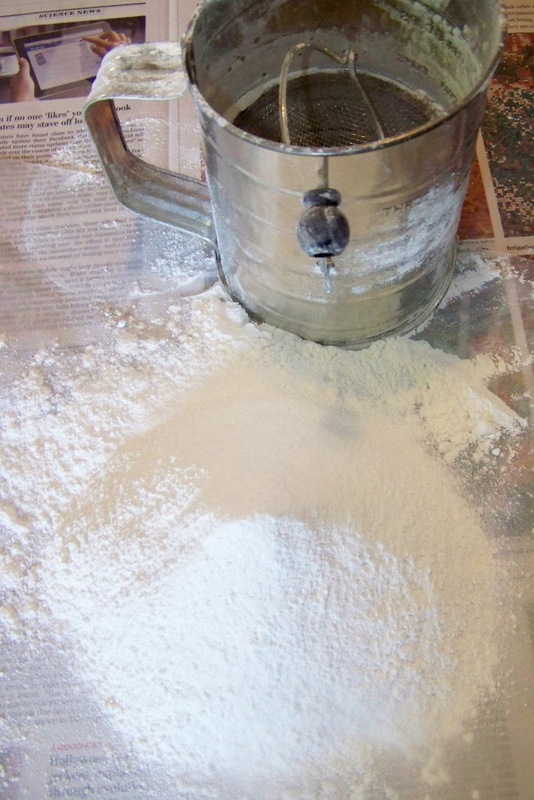 On a cleaned surface place flour in a circle with a hole in the center. Add egg and butter into hole and start bringing flour from the outside to mix into the egg and butter in the middle. Add ice water as needed to form dough. 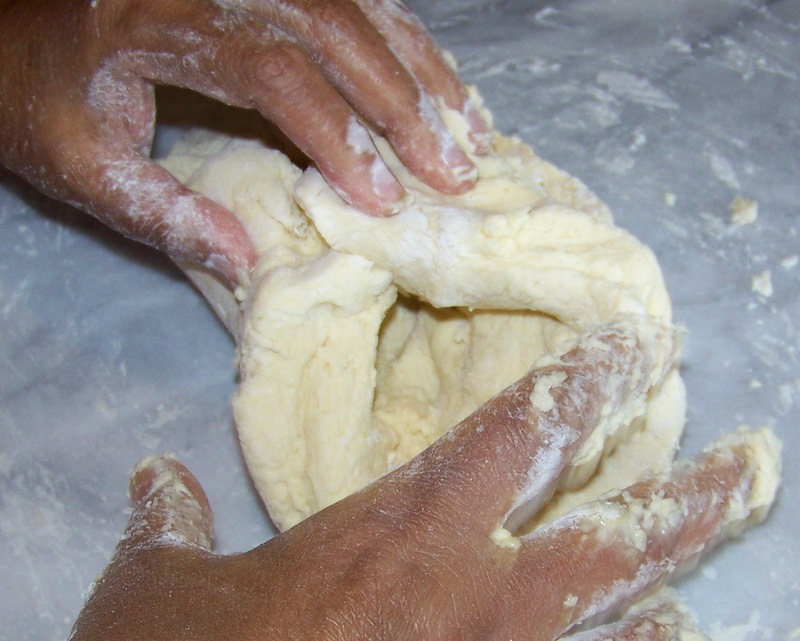 My mother calls the next step NOT kneading the dough, but folding air into the dough. 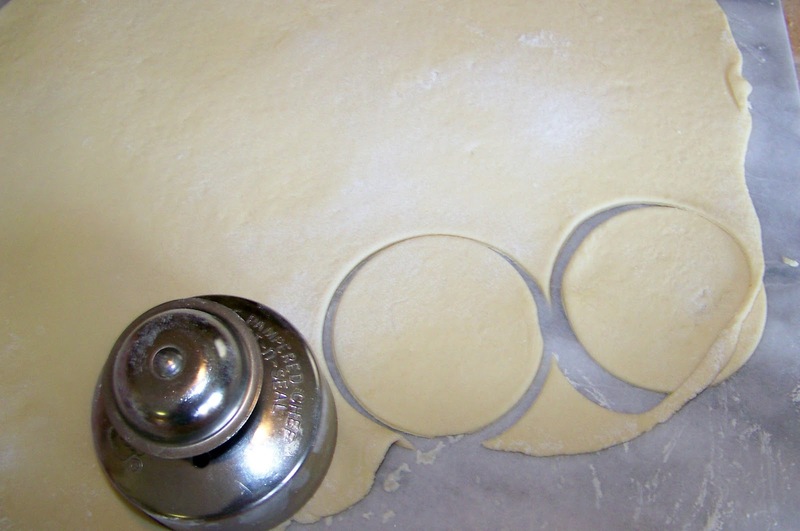 You want a light pastry so to get this texture it's important to create some air in the dough. Fold the dough towards the center from all four sides and gently press down. Repeat for 3-5 minutes. 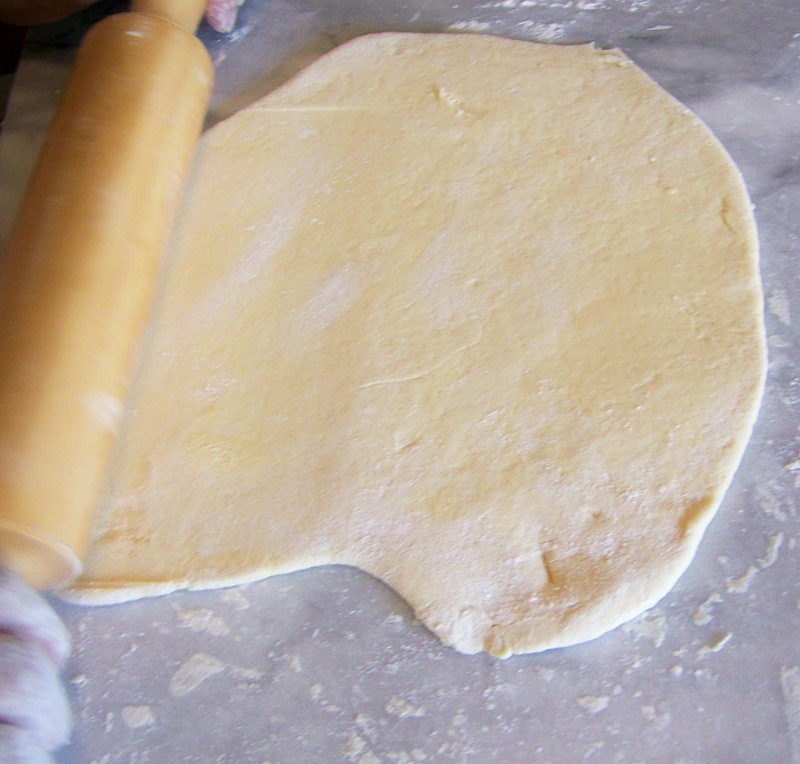 Allow dough to rest in fridge for 10-20 minutes before proceeding. Wrap dough in plastic wrap to keep from getting dry. Next comes the rolling. 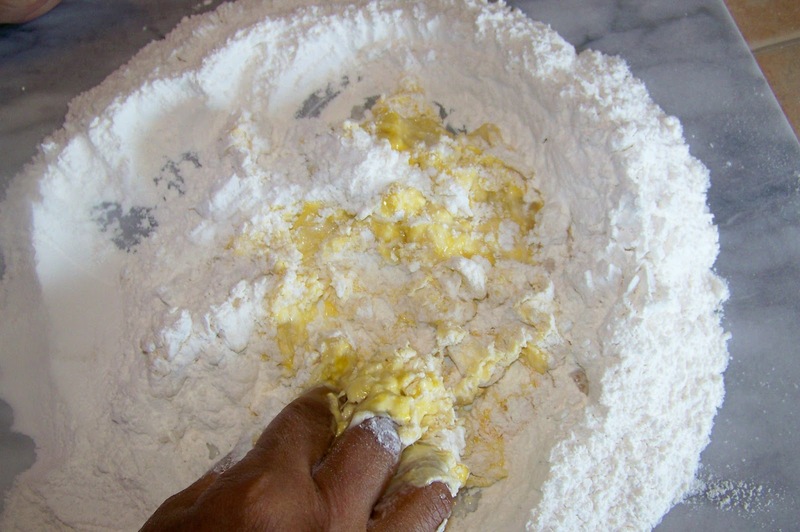 Divide the dough into half and lightly flour the rolling surface. Roll dough into 1/8 of a inch thick. 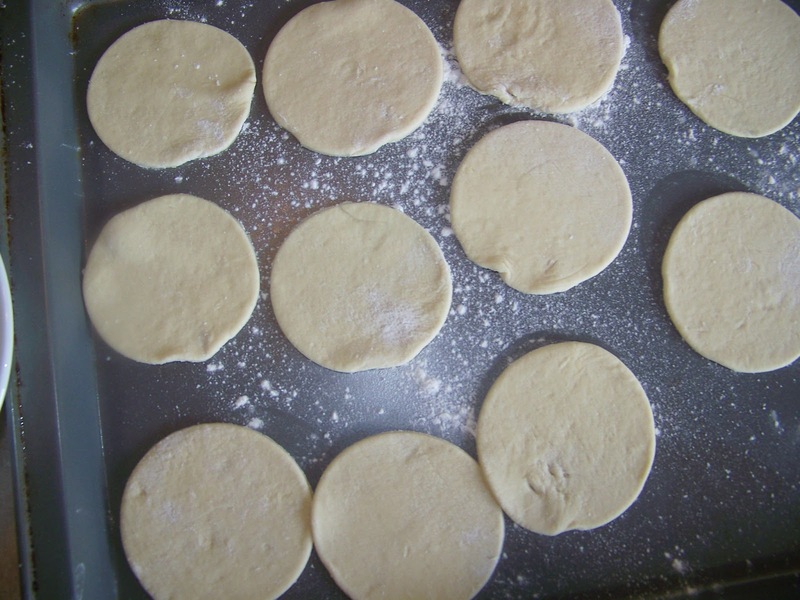 Then take a biscuit cutter or even a thin lipped glass and cut desired size circles. Cut out all the dough then fill the center with enough filling to fill the Pattie, but still fold over and press down the edges. You do not want to over fill the Pattie so it over stretches the dough and it rips. 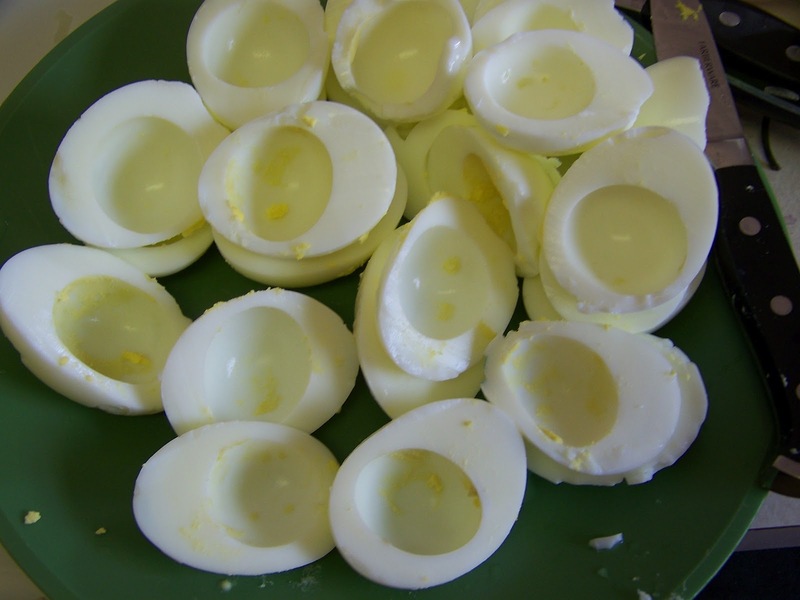 Seal the edge with some well beaten egg whites. Make all the Patties before proceeding to fry them. 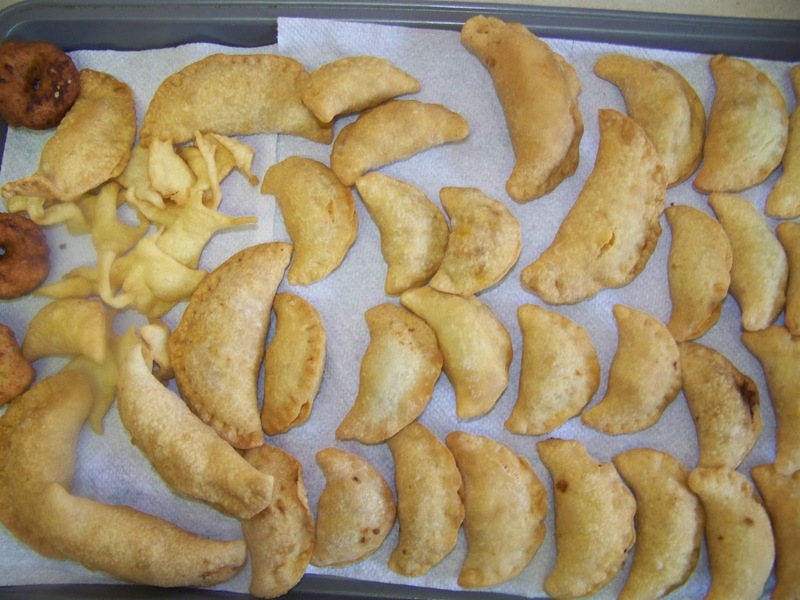 Heat oil to 350 degrees and fry Patties until golden brown and dough is cooked. Drain on paper towels. Serve: Hot or at room temperature. Enjoy. Happy Sunday! It's one week until the Super Bowl and my husband is beyond excited. He's rooting for the Baltimore Ravens to win so I hope he gets his wish. 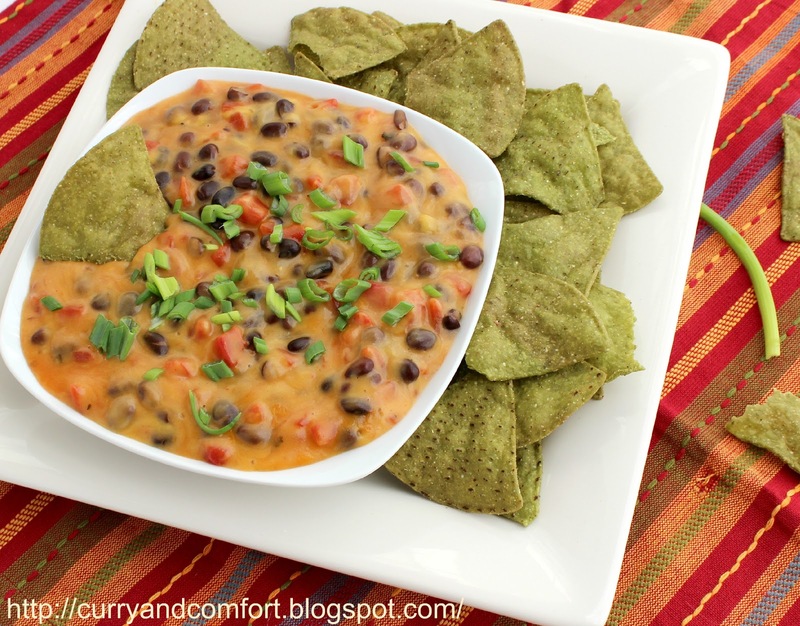 I am going to have some more fun Super Bowl treats to eat, so look for those next week. 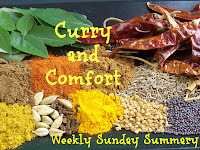 I loved the two curry dishes I featured this week. Lentils are a staple in our house and the brussels sprout dish was wonderfully healthy. My favorite dish of the week has to be the Shrimp Pasta Puttanesca. That was easy and so beautiful to look at before I devoured it. :). Shrimp is one protein that gets no complaints in my house. Lentils are so healthy and a wonderful introduction to a rice and curry meal. This is my basic "no frills" lentil curry. 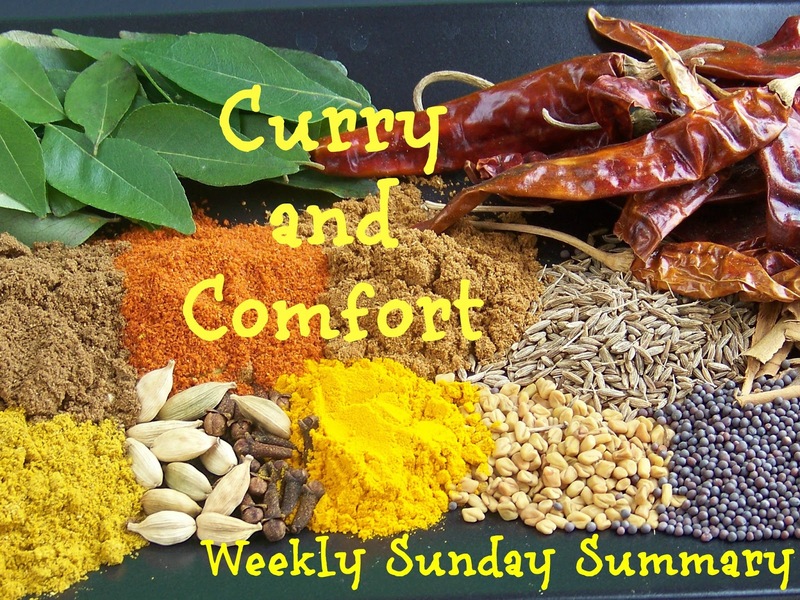 It is a mild tasting dish that is best accompanied by other curry dishes like a spicy vegetable and/or meat curry. 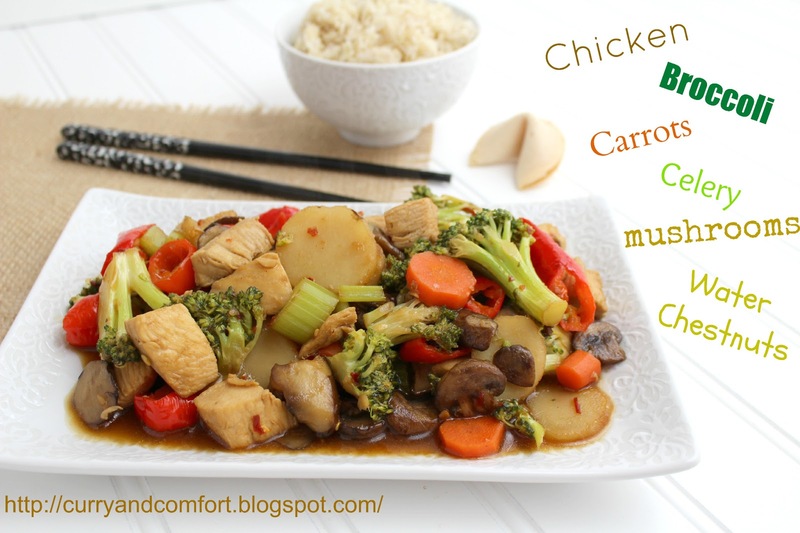 You can make this completely vegan by using coconut milk if you like. 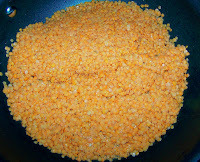 1 cup of washed Masoor Lentils. 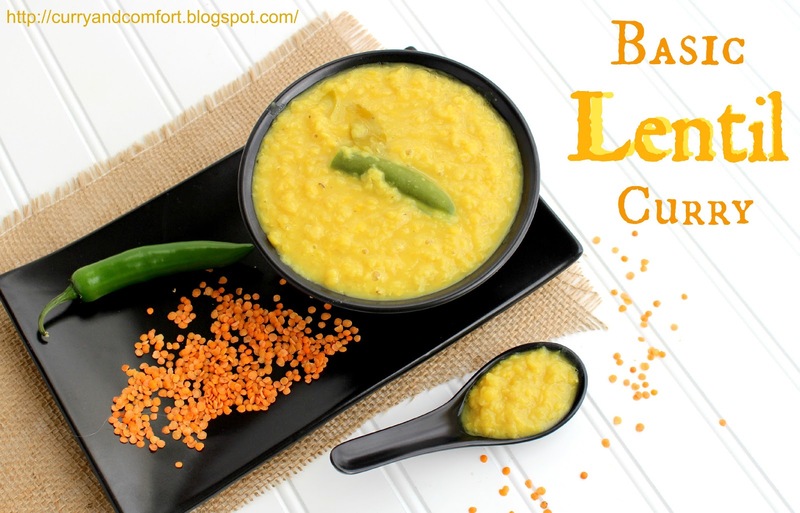 Wash the Masoor Lentils well in cold running water. If you see any stones, make sure you pick them out. 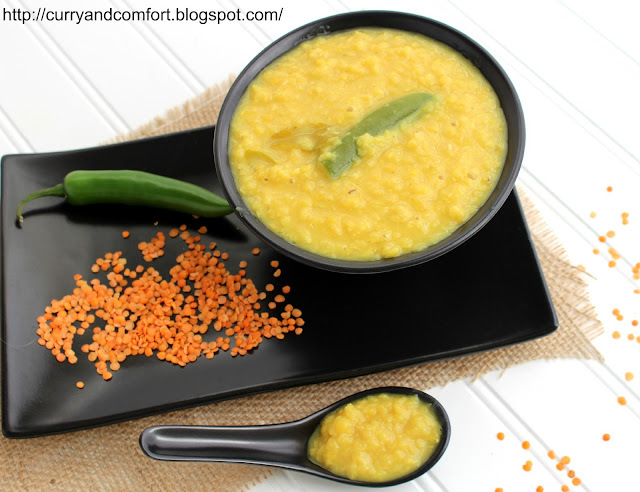 You can find Masoor Lentils at your local Indian Grocers. 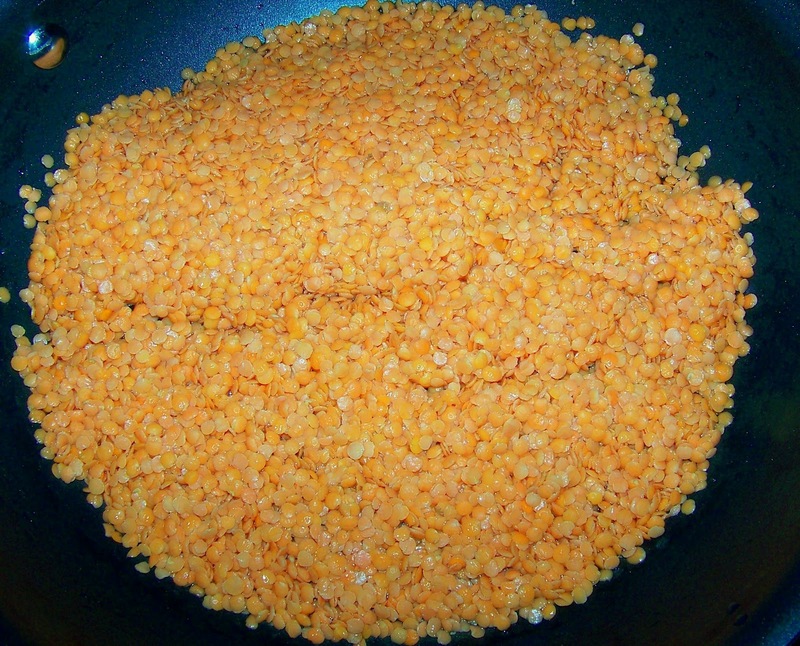 Tip: You always want to boil your lentils without salt so they cook faster. 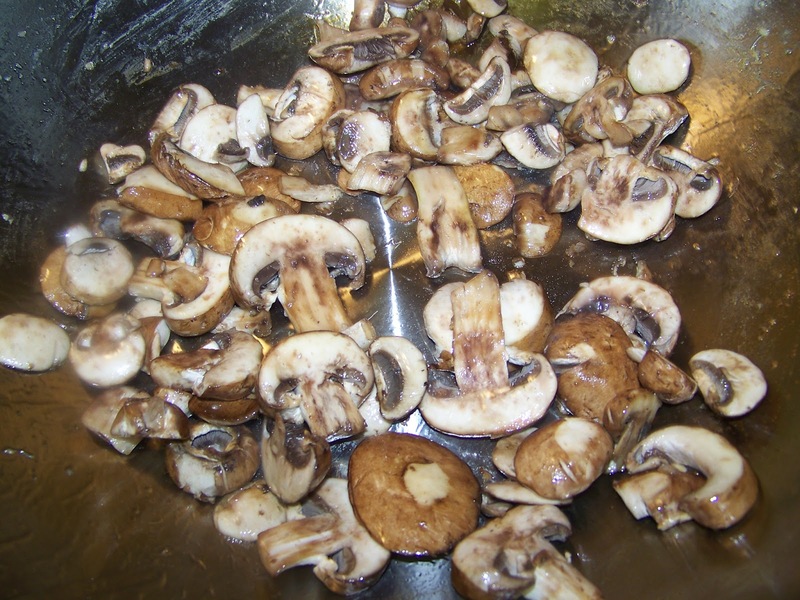 Salt tends to slow down the cooking process. 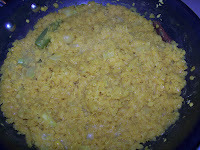 Salt can be added at the end of the dish. 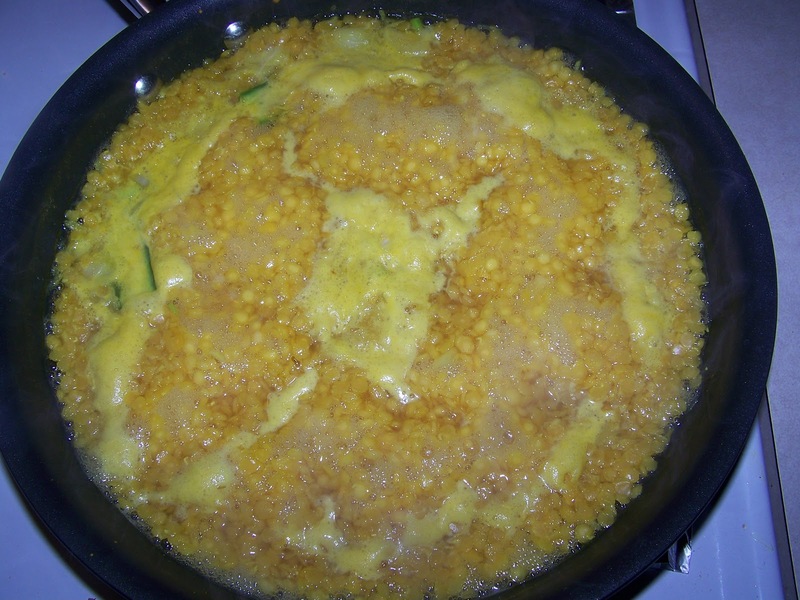 Cook the lentils on medium high heat for 20 minutes or until the liquid cooks out and the lentils are very soft. 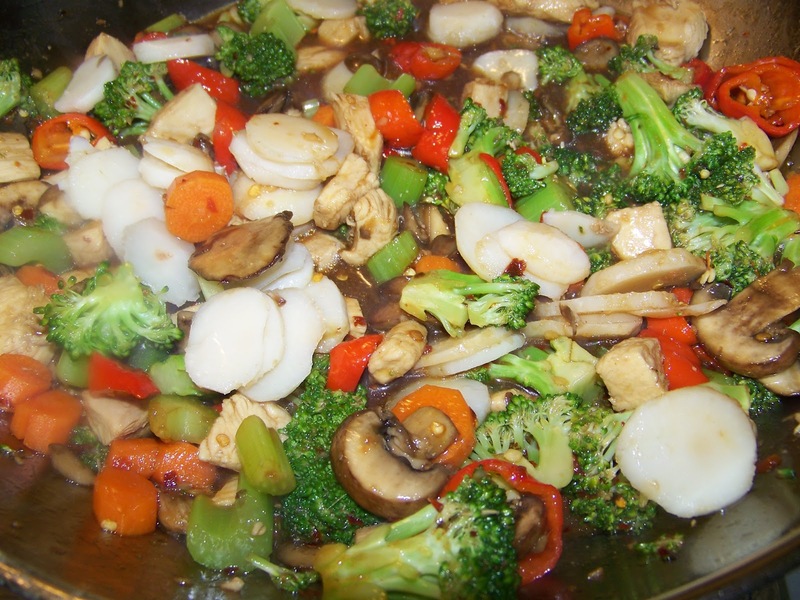 Tip: I recommend you use a large deep frying pan or nonstick wok if you cook on high heat, otherwise it tends to boil over. 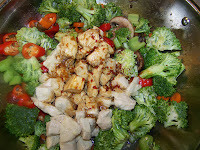 If you only have saucepans, then cook on medium heat and keep an eye on it. Next add salt and coconut milk or cow's milk. Stir well and cook for 1-2 minutes longer. Taste for salt and seasoning. 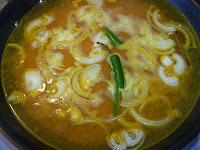 Serve with rice and other curries. Enjoy. What came first.. the chicken or the egg? 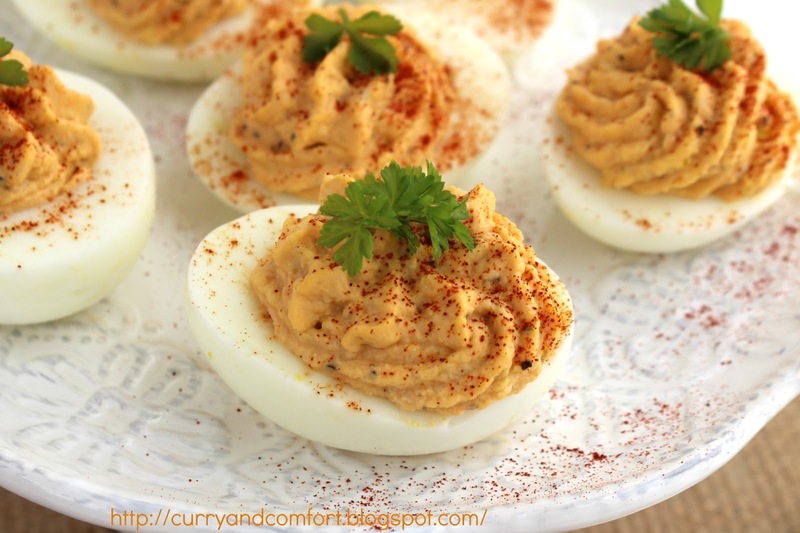 Well both, if you're looking at these deviled eggs. 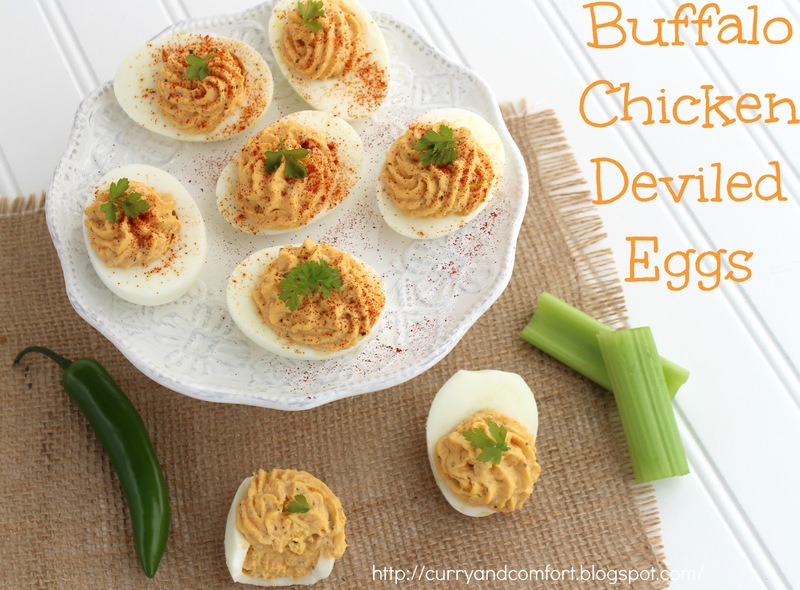 :) I wanted to make some fun deviled eggs for the Super Bowl and this idea popped into my head. 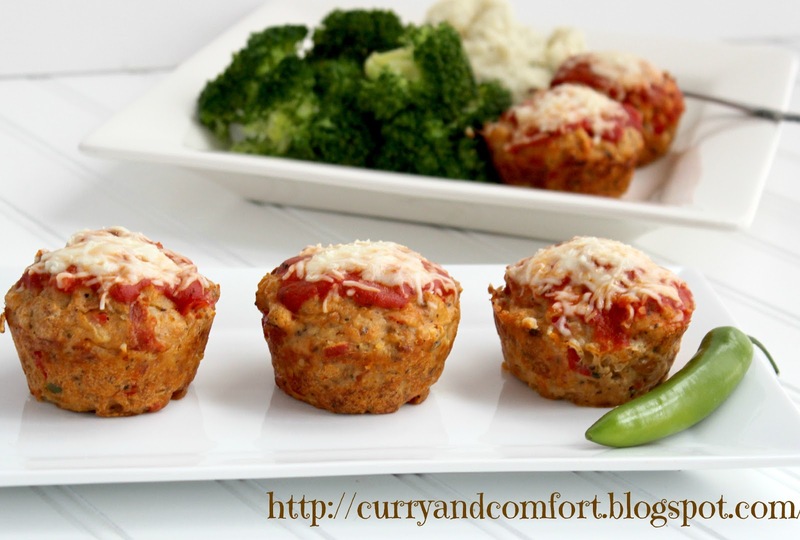 I actually used a can of chicken breast (found where you buy tuna fish) to make these really easy. But you can also use rotisserie chicken if you prefer. I wasn't sure if the kids would like them... but they devoured them and asked me to make more. Good thing this was a practice round before the Super Bowl... so they will get some next week for sure. Here are the best instructions I have seen for boiling eggs. You will need a pan with a tight fitting lid. 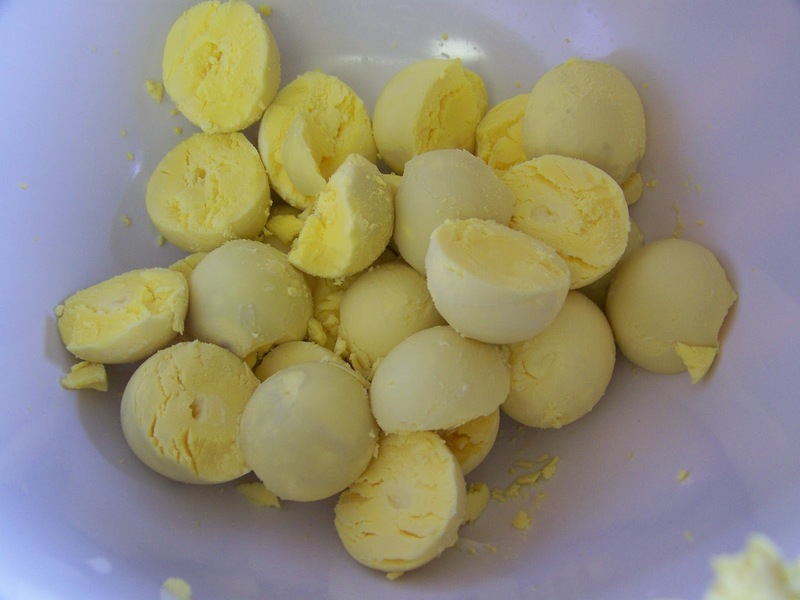 Place eggs in a pan and fill with cold water. 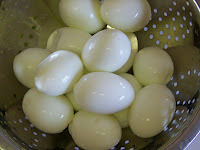 Bring water and eggs to a rapid boil. 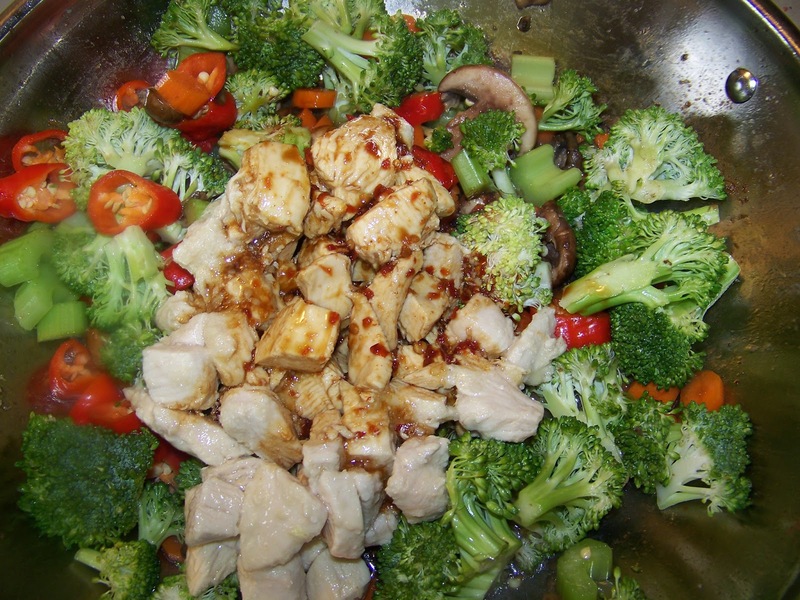 Then turn stove off and place a lid on top of the pan. Allow eggs to sit in the boiled water for 10 minutes. Drain away the hot water and replace with cold water and peel. 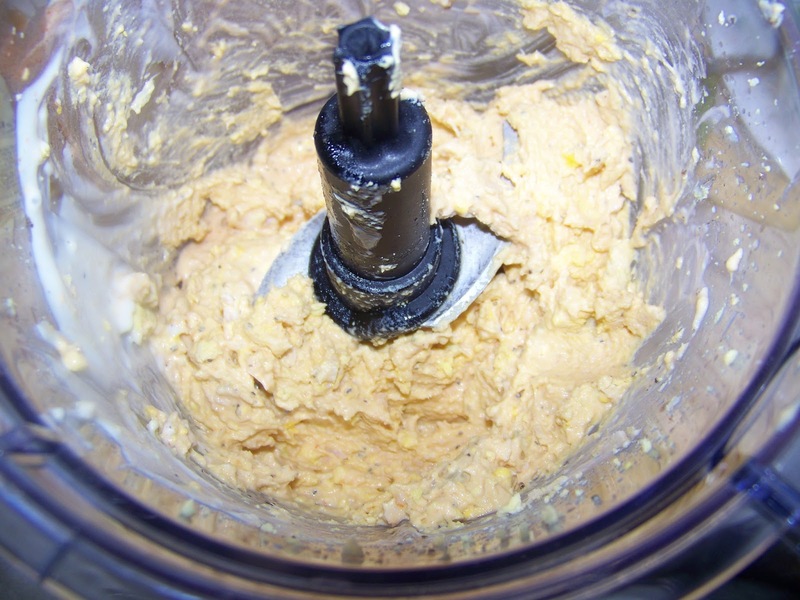 yolks and mash or process in a food processor if you want it a creamier texture. 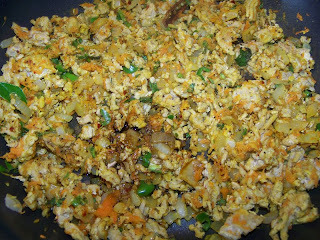 Fill the egg whites with the yolk filling and sprinkle with paprika and parsley.. Enjoy. Tip to Fill Eggs: Use a pastry bag and a large opening cake decorating tip.